The medical field has a proud history of improving human health by recognising the relationship between health and the environment. Our publications are highly valued for many people around the world. Take a read. Take a look at the exposure we're getting in the news and media. We're making a difference by giving public awareness. Our students are some of our biggest advocates. Helping the environment one student at a time. We have a proud history of helping the environment. Read more about us and get involved. The Turnbull Government may have hoped releasing Australia’s latest greenhouse gas emissions together with the 2017 Climate Report would pass unnoticed, given the sneaky way it announced them just days before Christmas. 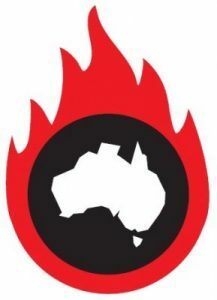 If one disregards the spin in that report, it is clear that Australia has failed on climate policy. Australia’s emissions are rising and are expected to continue rising out to 2030. That rise is coming mostly from transport, and some rubbery numbers around land-use emissions may hide an even worse result. Minister for the Environment and Energy Josh Frydenberg has tried to put some gloss on this report, even claiming that Australia will meet its commitments under the Paris Agreement. The United Nations Environment Program Emissions Gap Report, released before the Bonn climate conference, states that Australia’s emissions are set to exceed the target under existing policies by about one third. Yet what the Government’s Climate report reveals is business as usual is about to get worse. The Emissions Reduction Fund with which taxpayers pay for businesses to reduce emissions is to get more funding and the safeguard mechanism is to be made “simpler and fairer” – a code for allowing already lax limits on emissions from big polluters to be even higher. Trading in international carbon credits may be allowed, an easy out, avoiding real reform in energy generation and transport. And the government will develop a long term, “non-prescriptive” emissions reduction strategy by 2020. After a decade of the climate wars and 30 years of warnings from scientists about rising global temperature and its terrible implications for life on Earth, this is woefully unacceptable. Recently, Prime Minister Turnbull, in answer to a question on Adani and coal-fired power stations on the ABC’s QandA, described South Australia’s large amounts of renewable energy as “crazy”, and “ideological”, and said that fossil fuels will be around for a “long time to come”. The use of the word “ideology” is meant to convey the idea that the proponents of renewable energy are motivated by a blind faith, without any basis in rational thought. Another term he is fond of is “technology neutral” in relation to energy supply, as if to suggest that all types of energy generation are somehow equal, and so ignoring that the consequences of each are very different. What is the science telling us? That the globe is warming, that polar ice is diminishing, and that seasonal climate variations are becoming more extreme, are all verifiable facts. The only satisfactory explanation for these effects is a rise in greenhouse gases. The 2017 Climate Report only adds to the frustration which Doctors for the Environment Australia and other health groups feel when confronting energy, transport and climate policy in Australia, policies which ignore the health burden to Australians and the hidden costs of climate change and dirty air. At the end of a year in which we have witnessed endless arguments about who is to blame for electricity prices, a detailed report from the Chief Scientist, whose key recommendation of a Clean Energy Target was ignored, a stunt with a lump of coal in the National Parliament, and an announcement from AGL that the Liddell coal-fired power station will close in 2022, all we are left with is the National Energy Guarantee. The only “guarantee” is that coal remains dominant and renewable energy investment is slowed. Climate and health policy, like emissions, have been ignored, despite the nexus between energy, transport, climate and health. Yet health experts have long recognised that reducing coal and transport emissions, especially from diesel fuel, results in improved health for exposed communities. Christmas is a time for thinking about children. Early this month UNICEF released a report, Danger in the Air, how air pollution can affect brain development in children, causing reduced IQ, memory, and grade scores. Children are particularly susceptible to these and other effects such as asthma and reduced lung development. Coal and transport are the chief sources of these pollutants, many of which are common to both. There is a tendency to dismiss these reports as of no relevance to the “lucky country”. However, 3,000 deaths per year in Australia can be linked to air pollution, at a cost of between $11 billion and $24 billion. Air quality standards are long overdue for revision and for some toxins have not been revised for nearly 20 years. In early December the University of Melbourne’s lung health experts and Environmental Justice Australia met to discuss the growing problem of air pollution in Australia. They questioned why a state and commonwealth government’s review will take three years to arrive at new standards when they were able to do so themselves in a day. Similarly, the Ministerial Forum on Vehicle Emissions appears to have stalled while transport emissions continue to rise, causing not only climate harm, but contributing to the health harms which are proven. A mere two pages of the 2017 Climate Report are devoted to transport and the detail is sketchy. Some financing for businesses and fleet owners under the Clean Energy Finance Corporation (CEFC) and some carbon credits under the Emissions Reductions Fund are welcome but hardly constitute a policy. One bright spot is the $10 billion National Rail Program which is long overdue. The tragedy of this blindness is that good climate policy is wedded to good health policy in cleaner air. This is recognised by all major health authorities and has nothing to do with “ideology”. Burning more fossil fuels will release more CO2 into the atmosphere (410 ppm and rising) which is causing climate change and will continue to do so well into the future, even if we stop now. On the other hand reducing harmful sulphur dioxide, oxides of nitrogen, ground level ozone, aromatic hydrocarbons and particulates will bring about more immediate health benefits, particularly for our children. California and a growing number of other US states have rejected Trump’s pro fossil fuel stance. Australia should do the same. Nothing stands in the way of clean energy and clean air except government policy and vested interest. 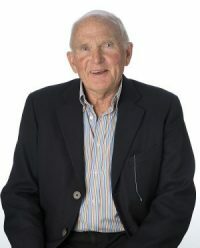 Dr Graeme McLeay is an Adelaide anaesthetist, a grandfather and a member of Doctors for the Environment Australia. WHAT CAN I DO FOR THE ENVIRONMENT? 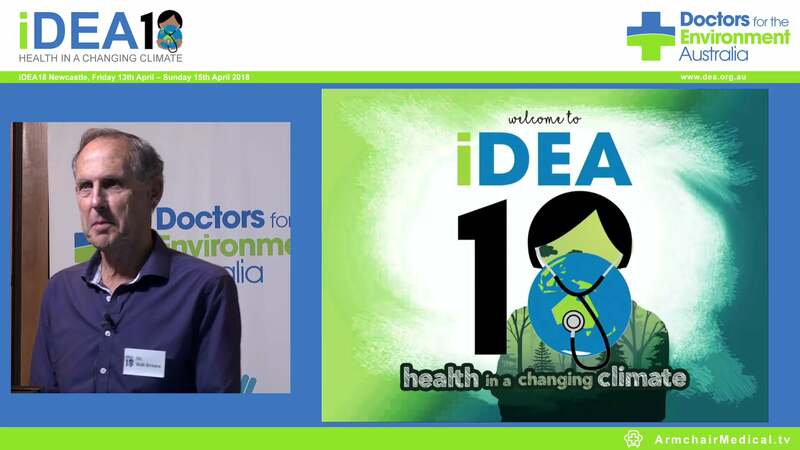 Doctors for the Environment Australia Inc.
You must acknowledge DEA appropriately and you must not distribute content that you have modified. Except where otherwise noted, content on this site is licensed under a Creative Commons Attribution, No Derivatives 4.0 International License.